All lamps listed are compatible brand (LSE Lighting) UV products. We do not sell American Water Service, LLC / PurTest brand lamps. All American Water Service, LLC / PurTest brand names, trademarks and logos are property of American Water Service, LLC / PurTest respectfully. Warning: Ultraviolet Germicidal UVC light is harmful and dangerous to your eyes and skin. Please Use safety gear during installation. 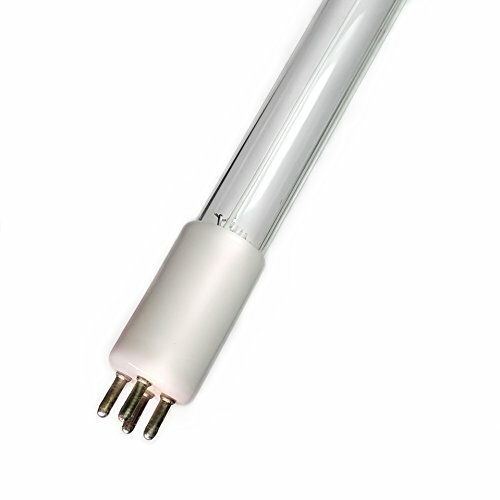 This UV replacement lamp by (LSE Lighting) brand is 100% compatible for use with American Water Service PurTest PT-12 Sterilizer. All lamps listed are compatible brand (LSE Lighting) UV products. We do not sell American Water Service, LLC / PurTest brand lamps. All American Water Service, LLC / PurTest brand names, trademarks and logos are property of American Water Service, LLC / PurTest respectfully. View More In Water Treatment. If you have any questions about this product by LSE Lighting, contact us by completing and submitting the form below. If you are looking for a specif part number, please include it with your message.